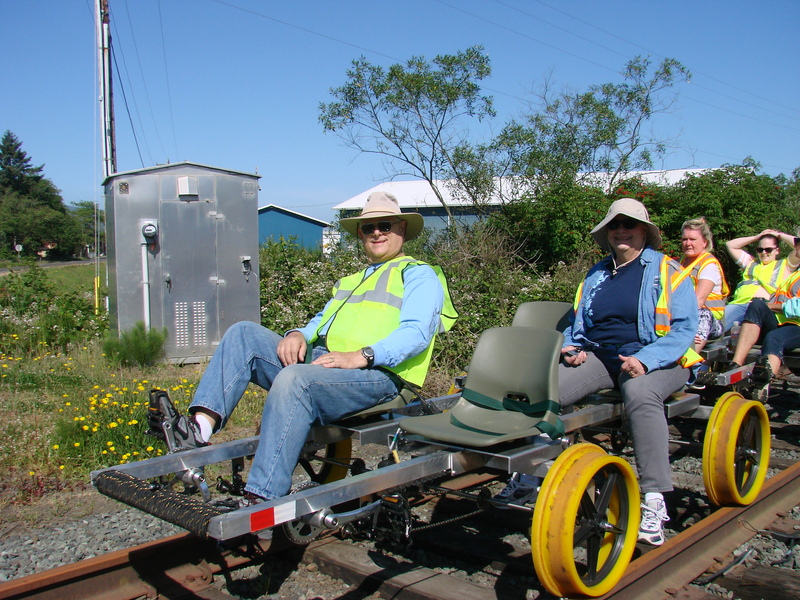 We recently Visited Bay City, Oregon and rode the new Oregon Coast Railriders adventure to Tillamook on the Port of Tillamook Bay Railroad tracks. The line between these locations is not currently used by an active railroad. In 1911 the line was completed from Hillsboro to Tillamook and was known as the Pacific Railway and Navigation Company or PRN. 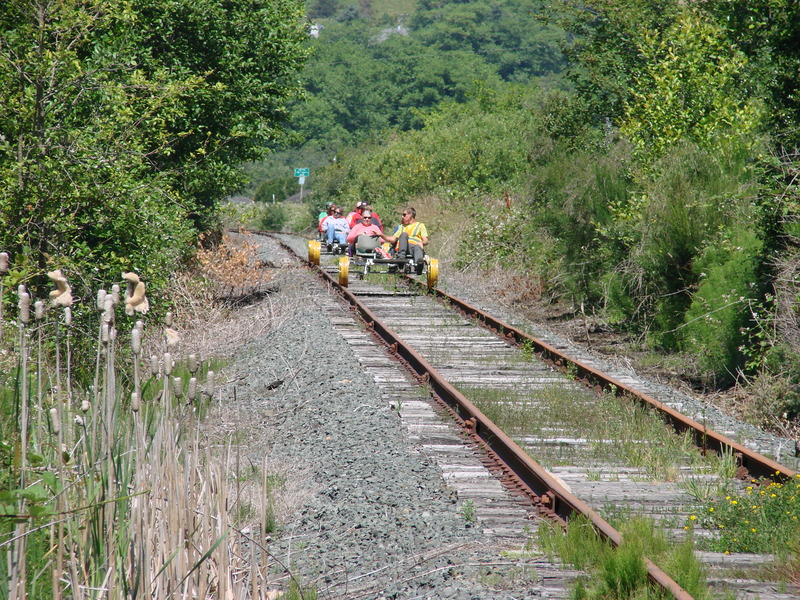 Pedaling the 11 mile round trip was a unique and strenuous way to see the rails. This entry was posted in Prototype visits on June 14, 2016 by Capt.Brigg.